Researchers in the US studied feverfew + ginger for treating attacks of migraine early during the mild headache phase. 60 patients were assigned to a treatment group for 1 month and treated 221 attacks of migraine. All participants met International Headache Society criteria for migraine with or without aura. 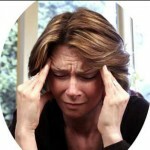 They experienced 2 to 6 attacks of migraine per month within the previous 3 months. They had fewer than 15 headache days per month and were not experiencing medication overuse headache. Each patient was able to identify the period of mild headache in at least 75% of attacks. They were able to distinguish migraine from non-migraine headache. They were instructed but not required to treat with study medication at the earliest recognition of migraine. 32% of patients taking feverfew + ginger vs 16% of patients receiving placebo were pain-free — a significant difference. 63% of patients taking feverfew + ginger achieved pain relief (pain-free or mild headache) vs 39% with placebo — a significant difference. Pain level differences on a 4-point pain scale for those receiving feverfew + ginger were significantly improved vs the placebo group. Feverfew + ginger was generally well tolerated, with oral numbness and nausea being the most frequently occurring adverse event. This entry was posted on Wednesday, January 4th, 2012 at 2:54 AM	and is filed under Feverfew, Ginger, Headache/Migraine. You can follow any responses to this entry through the RSS 2.0 feed. You can leave a response, or trackback from your own site.